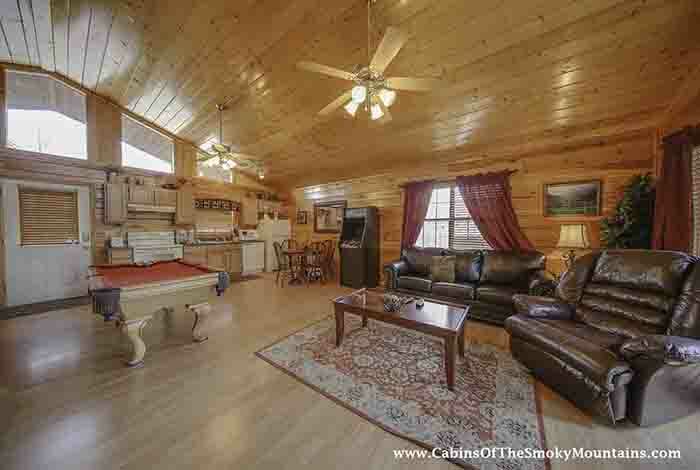 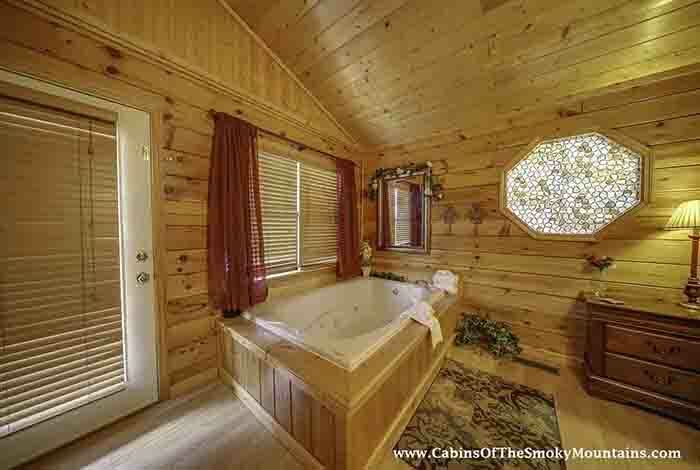 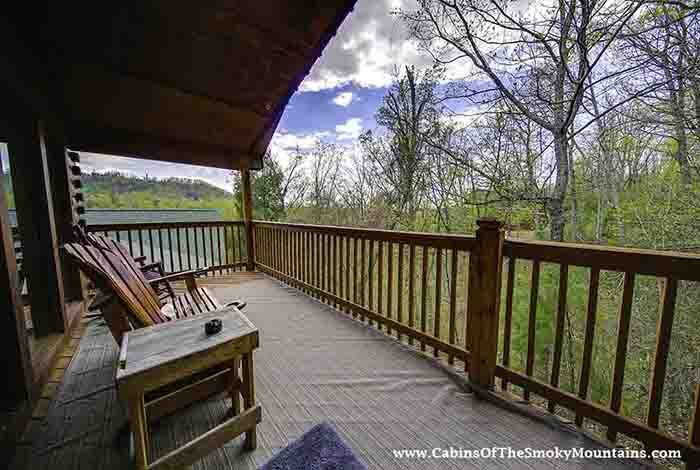 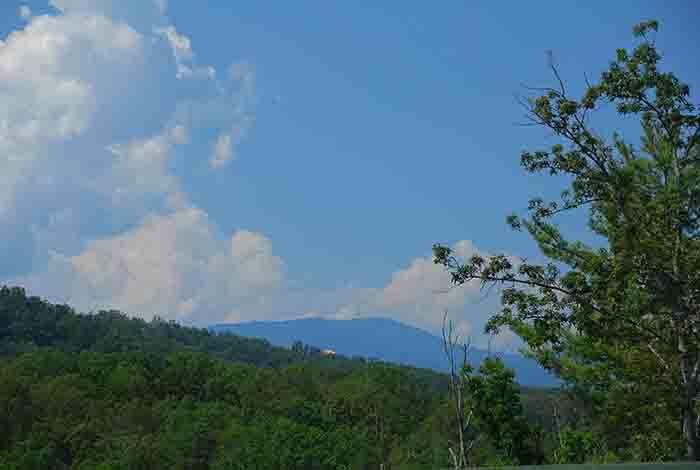 You are ″Beary Welcome″ to this spacious, elegantly decorated log cabin, located in the Hidden Springs Resort with access to a year-round, heated indoor pool and just 1.2 miles from Dollywood and Splash Country. 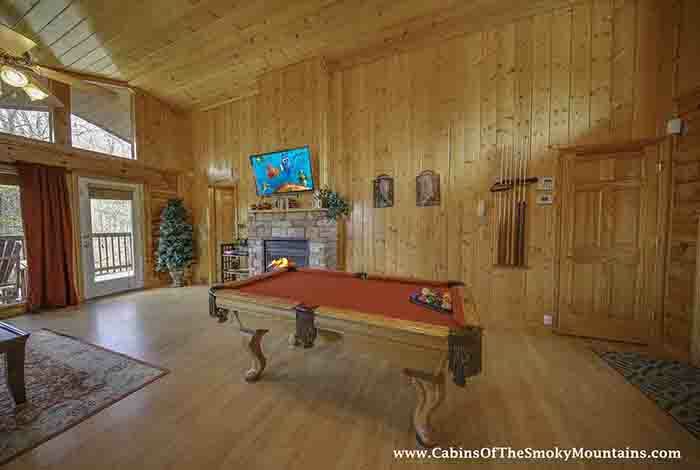 This cabin offers upscale amenities such as free wireless internet, DVD players and 50 inch HDTV with HBO, ESPN and Disney channels, to name the few. 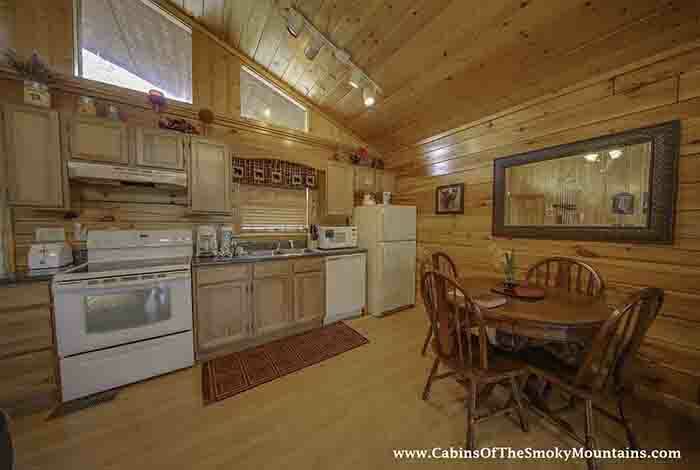 The oak kitchen is fully equipped with modern appliances, a stacked washer and dryer and stylish dinette ready for your family of four or special romantic meal. 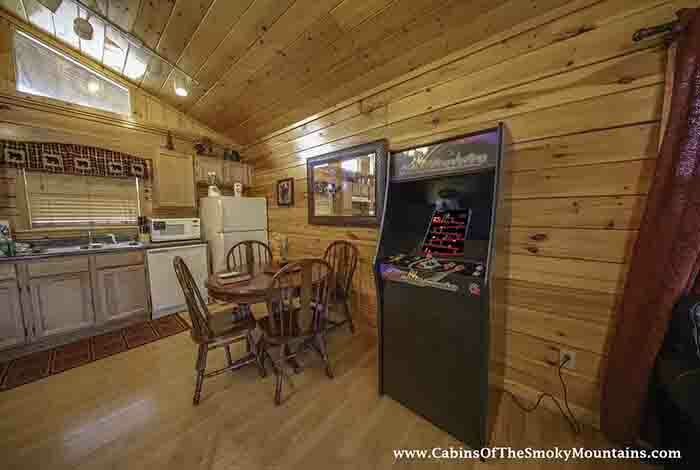 Awaiting you is a leather rocker/recliner, leather sleeper sofa, charming stone electric fireplace, full size pool table and a legendary timeless MS-Packman/Galaga arcade game. 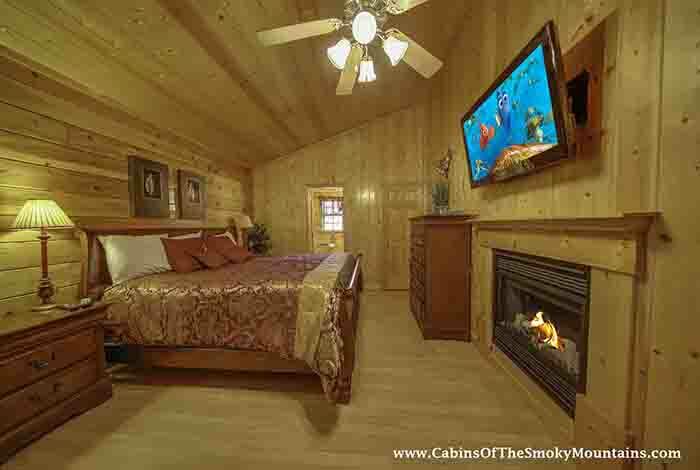 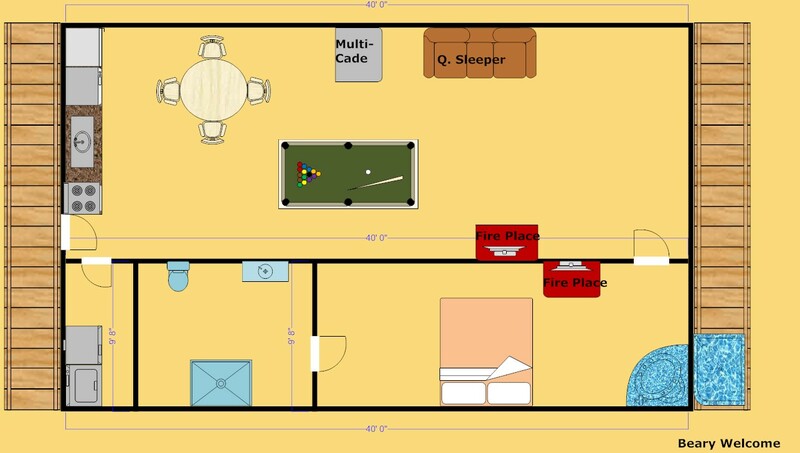 The beautifully decorated master bedroom offers a king size bed, chest of drawers, full bathroom with tub and shower, an inviting fireplace, 42 inch TV and a DVD player. 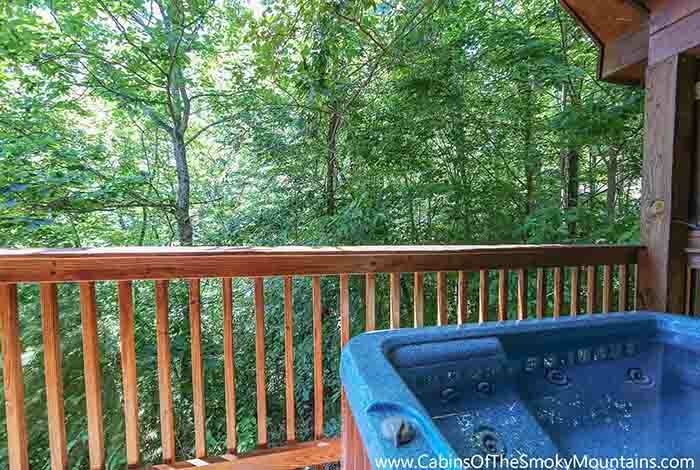 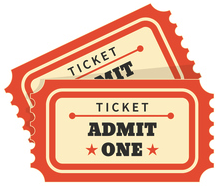 Enjoy the latest movies while relaxing in a Jacuzzi tub or step out to your own private wooded deck to unwind in the glider, on of the two rocking chairs or the dazzling hot tub and enjoy the beautiful scene. 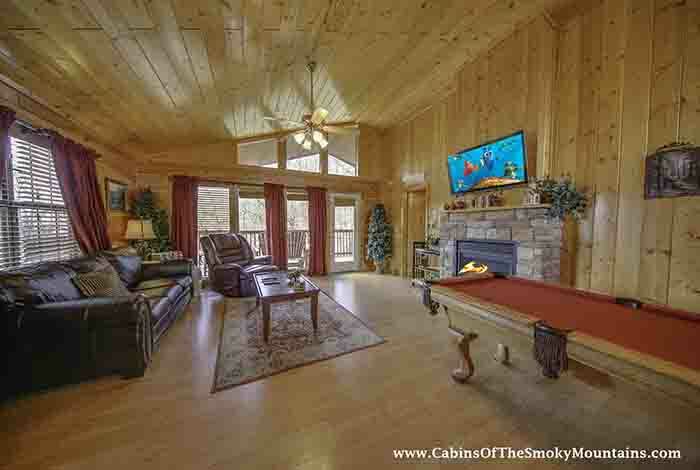 This cabin has something for everyone to enjoy! 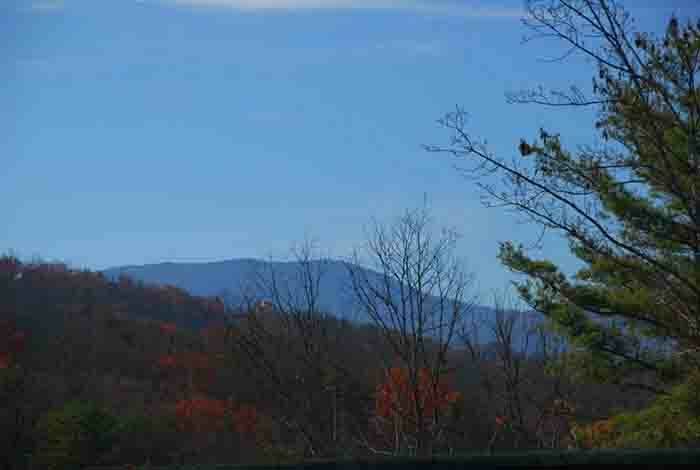 It is a short drive to horseback riding, shopping and shows that will make this vacation unforgettable!